I’m proud that, as a model farmer, I can share this knowledge with other farmers in five districts. This is a dream come true. Just over 3 years ago, there was no hope for success for Edward Malunguja (31) who was doing traditional subsistence rice farming on 2 acres rented farm “with little yield.” The story is different now to this married father of four from Nyitundu village in Northern Tanzania who plans to start constructing his own house as a result of a better yield from his rice-farming project. Thanks to skills and knowledge on modern production practices coupled by collective marketing practices. 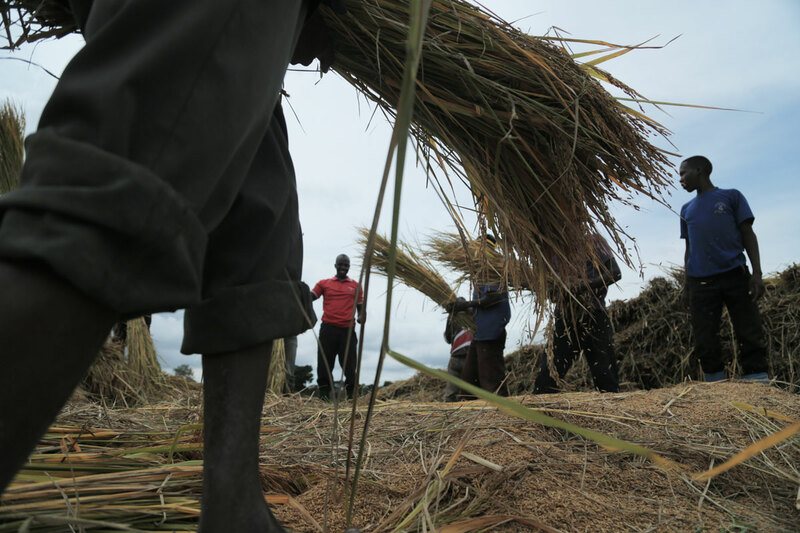 “I used to yield between eight and ten bags of rice equivalent to 800kg per acre.” Edward explains that he earned approximately Tanzania shillings 800,000 (USD 400) per year and this sum were not enough to pay school fees for his kids let alone earn an income. Earlier in 2012, Oxfam working with local partner RUDI – Rural Urban Development Initiatives trained Edward on modern rice production techniques, mostly referred to as system of rice intensification. The training emphasized on the use of improved seeds with high yield, transplanting single and young seedlings, proper plant spacing, proper farm management particularly weeding and application of fertilizers. After the training, Edward opted to test the technique on half an acre and was really impressed with the results. 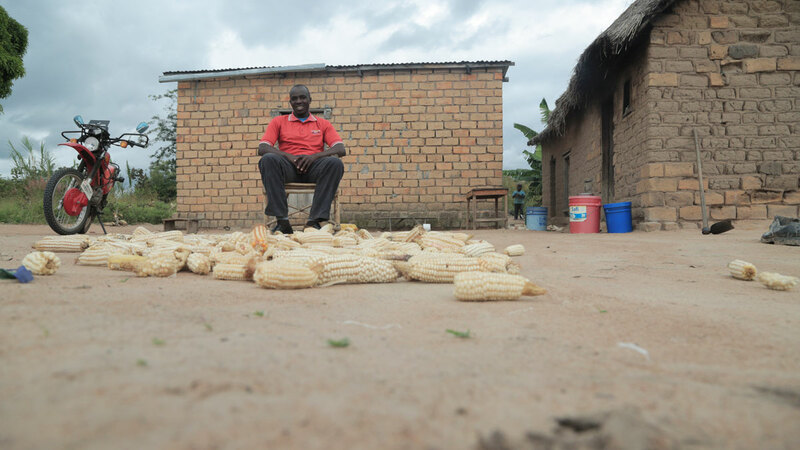 “I have never looked back since then.” He has since increased his rice yield four times, earning him over Tanzania shillings 4 Million (USD 2000) every year. 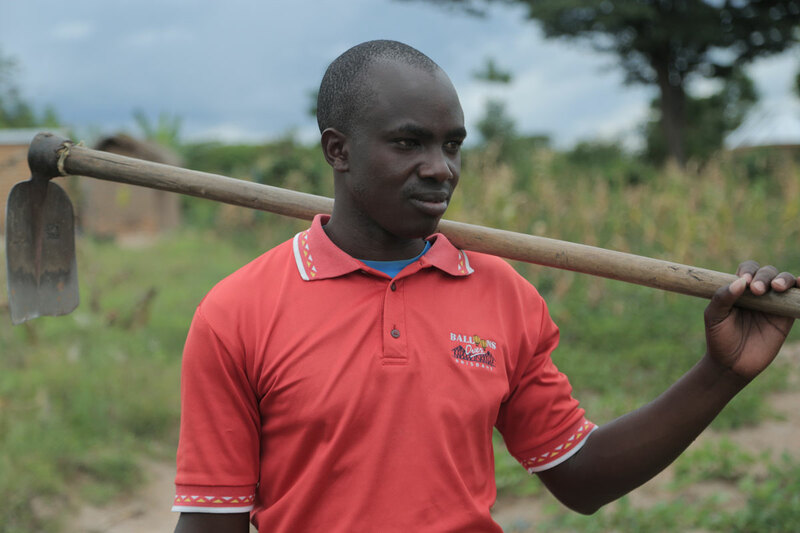 Edward has bought three acres of land, two cows and he’s been named a model farmer by a local food processing company, which has given him a motorcycle and further training to teach other farmers. Moreover, Edward plans to start constructing a house in Masumbwe town, just over 45km from his village. “I’m proud that, as a model farmer, I can share this knowledge with other farmers in five districts. This is a dream come true.” Edward supports farmers from the districts of Mbogwe, Bukombe, Kahama, Rural Shinyanga and Maswa by visiting their farms and providing advice and training on modern farming techniques for free. 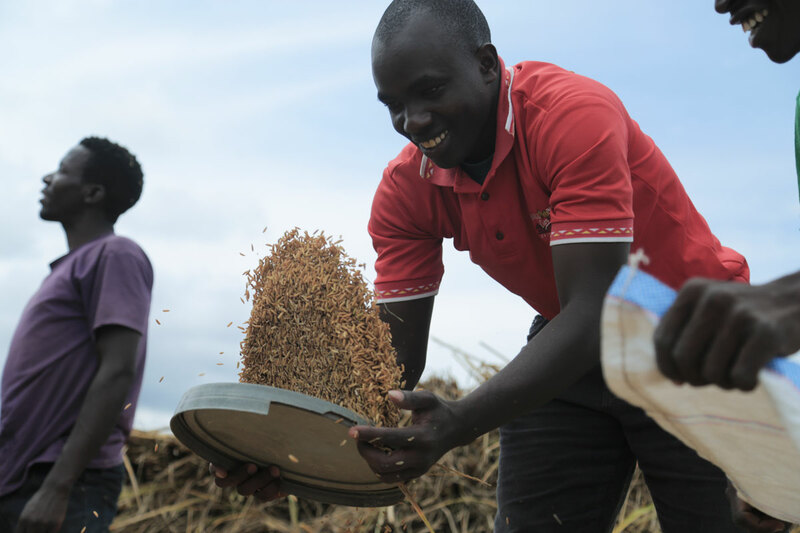 Oxfam encourages small-scale farmers to form strong producer associations. This enables them to have more bargaining power in markets hence secure better prices for their produce and are also able to manage quality of their crops better. Edward calls on the government to support farm officials so that they can train more people in their respective areas and encourages youth to attend various seminars on food production.